A PHL strategy on financial inclusion: More on the means than reversing mindsets? This post is the first in a series by IMTFI Researchers Jeremaiah M. Opiniano and Alvin P. Ang. Stay tuned for future posts about financial inclusion and savings behaviors in the Philippines. This July 1st, the Philippines’ Central Bank (Bangko Sentral ng Pilipinas) will launch its National Strategy for Financial Inclusion (NSFI). The forthcoming policy framework, to be collectively signed by 13 national government agencies, represents the Philippines’ efforts at bolstering the creation of a savings habit (CASH), and letting as many Filipinos as possible—especially the poor—be included in the formal financial system. The NSFI formalizes the policy showcase of the Philippines as one of the more accommodating countries for financial inclusion; it ranks first in Asia and third worldwide according to a 2014 survey of The Economic Intelligence Unit (EIU). Admittedly, however, the archipelagic nature of the Philippines physically challenges efforts at financial inclusion; of some 1,300-plus municipalities nationwide, around 36% do not have a banking office, leaving roughly 15% of the Philippine population unbanked. Citing recent data from the World Bank, covering the years 2010 to 2014 (the sunshine period of the Philippine economy that continues to this day), the Philippines’ five-year gross domestic savings rate is 15.6%, lower than the rates in neighboring Southeast Asian countries. Not even recent years of macro-economic growth for the country, a situation the Philippines long dreamed of having, have pushed people to improve their savings habits. Some data on the Philippines from the World Bank’s Global Financial Inclusion Index (Findex) further illustrate these concerns. The Findex is a worldwide survey of over 150,000 people asking questions related to financial inclusion, from saving, to borrowing, to opening bank accounts. Some 1,000 Filipinos were surveyed in the Findex's two survey rounds in 2011 and 2014. A source of good news is that the number of adults aged 15 and above with accounts at formal financial institutions increased to 31.3% in 2014 from 26.6% three years before. There was also an increase in account-bearing Filipinos who are living in rural areas, from 19.5% to 27.5%. But the number of Filipinos over 15 years old who saved at a formal financial institution increased only negligibly, from 14.7% in 2011 to 14.8% in 2014. This is baffling since Filipinos who “saved any money,” be it kept on their own or placed in financial institutions, rose to 67.3% in 2014 from 45.5% in 2011, according to the Findex survey data. And the past decade has seen the resurgence of a lot of financial literacy seminars, books, and training events. Preliminary survey findings from our research project in the Philippines using a tool called the Remittance Investment Climate Analysis in Rural Hometowns (RICART), even if done only in a solitary municipality (Guiguinto), affirm national-level observations. Guiguinto, found in Bulacan province (an hour outside of Manila), is still outside of the ambit of cities, even if the town’s first-class income status makes it look like a city already. But not even the presence of some four commercial banks, two rural banks, a thrift or savings bank, and some five cooperatives have pushed many people to save. migrants, and 73 non-migrant families), the number of people bitten by the savings bug had not even reached half. Only 41.3% of migrant families, 44.4% of migrant remitters, and 26% of non-migrant families in Guiguinto have savings accounts in formal financial institutions. When asked why, some residents (especially migrant families) cited familiar reasons: their incomes were “not enough” for daily needs, they had accumulating and cyclical debts (the latter covering borrowing money to pay off a current debt), among others. The RICART survey in Guiguinto showed that people “know” about financial management and “do not need any help” in relation to handling money, but these qualities are not reflected in their practices. Most of the surveyed respondents do not record their expenses, although they are aware of the money that they have coming in. Most respondents answered that unspent money from previous paychecks is spent on daily needs. And for many respondents, when the household is drained of cash, it’s time to borrow. Yes, municipal-level results of previous and current RICART surveys are not generalizable nationally (previous RICART studies were done in Magarao, Camarines Sur; Maribojoc, Bohol; and Pandi, Bulacan). Still, these attempts give a good snapshot of the environment for savings and investment, at least by rural folks. If RICART will be done in other places, the answer to the money handling question may remain the same: people “know,” but practices do not align with what "should" be done. Financial education and consumer protection is the second pillar of the NSFI. The mechanics of advocating financial education are things financial inclusion stakeholders know already, like budgeting sheets, or answering risk profile questionnaires, or even giving out piggy banks (known as alkansya in the Philippines). Financial literacy messages have now penetrated social media. But with the delivery of these approaches to improving people’s financial management skills comes a certain tone, which may have to hit the mindset of Filipinos. One may know about budgeting, but if the Filipino mindset is still to spend when there’s plenty (or even when there’s little), will behavioral change happen? Financial inclusion is a behavioral economics issue, and, more importantly, a cultural challenge. Communicating clear messages that strike a chord with the Filipino’s money mindset may have to be the next step in improving the state of Filipinos’ access and usage of money and financial services. RICART in Guiguinto was made possible with the help of research assistants Andrew Lacsina, Anna Jesuza Lourisse Estrada, and Jumaine Christene Doctolero, graduates of the University of Santo Tomas. 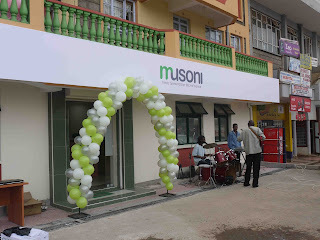 Photo taken from the Musoni website (musoni.eu). 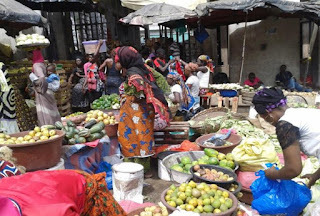 In a case study of Kenya's relatively new "Musoni" service for IMTFI's Working Paper Series, Tonny Omwansa and Timothy Waema investigate how micro-finance institutions (MFIs) are increasingly turning to cashless approaches such as mobile money to better serve BoP (bottom of the pyramid) clients. 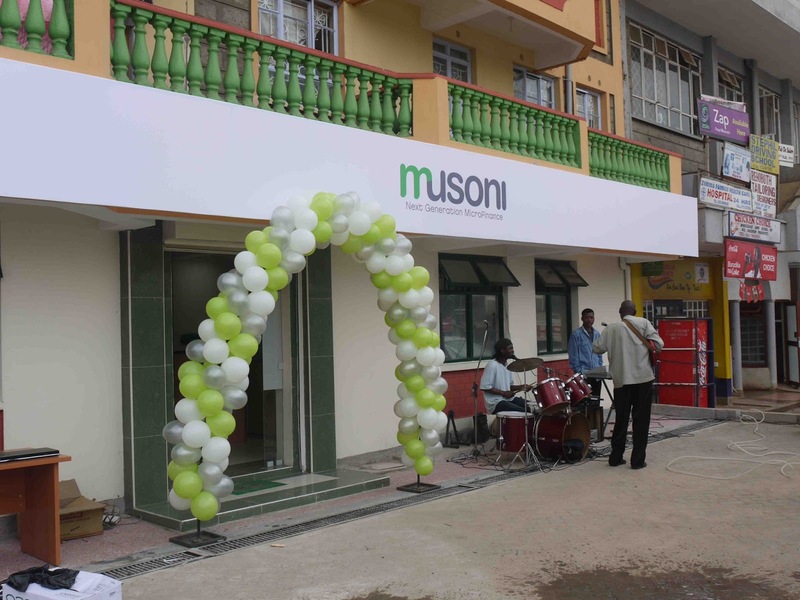 Musoni exclusively uses mobile money in provisioning micro-finance, thereby eliminating some administrative costs and making transactions more efficient for its clients. 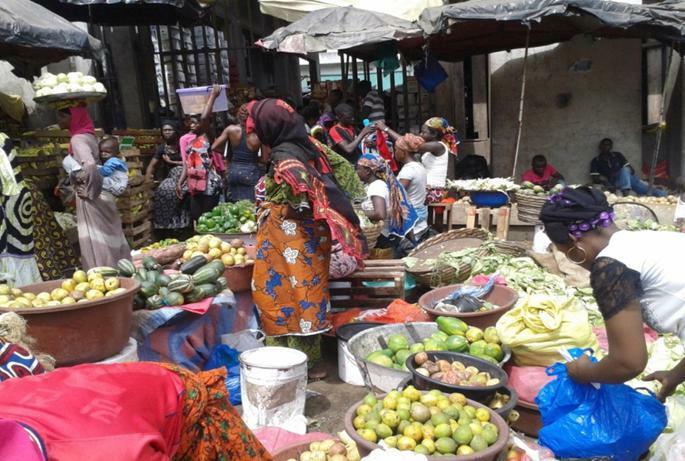 Omwansa and Waema find that Musoni's clients come to appreciate the range of financial products that the MFI offers more when they are bundled with mobile money, and furthermore that mobile money helps demonstrate the value of using the electronic channel for their financial activities. Moreover, they observe that Musoni clients increase their savings activities as a result of using mobile money. Despite these promising developments for financial inclusion, the authors conclude that mobile money can never fully replace cash, and that Kenya's poor need some combination of the two because they each fulfill different, important roles in their financial lives. 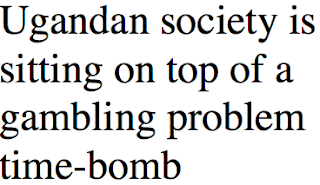 To learn more, read Tonny Omwansa and Timothy Waema's Executive Summary and Working Paper. When considering the origins of objects in a museum’s collection, one might initially think of donations from private collectors, national institutions, and famous organizations. Ellen Feingold is the curator of the National Numismatic Collection—the national money collection—housed at the Smithsonian’s National Museum of American History. She explains why she works with researchers from a variety of fields to help the museum document what is happening in money around the world. As the curator of the National Numismatic Collection, one of my responsibilities is to select objects to acquire that enhance the collection. This effort is not aimed at increasing the collection’s size—at approximately 1.6 million objects, it is already believed to be the largest in the world. Instead, the purpose is to find objects that capture moments in the past as well as what is happening in the present, preserving this period in history for curators, museum visitors, and future researchers. This is a tall order. There are nearly two hundred nations in the world, and most of them issue their own currencies. Dollars, drams, dongs, and dirham are minted and printed across the globe every day. Banks and shops issue a variety of credit and gift cards. And new digital technologies, such as the cryptocurrency Bitcoin, emerge annually. Moreover, there are many different points of view about which objects can be considered money or could be relevant to the story of money, such as receipts. It is not possible, or indeed practical, to capture all that is new in money each year. So how should I decide what things to collect to reflect money today, and where do I find them? Each year, the IMTFI's researchers travel from their fieldwork sites to Irvine, California, to meet at an annual conference and discuss their projects. In 2014, I asked the researchers to consider collecting objects to donate to the National Numismatic Collection and bring them to the conference. IMTFI researchers have generously donated objects to museum collections before, and in 2014 they gave 35 objects to the Smithsonian. These objects demonstrate the variety of physical and digital currencies and payment systems in use around the world today. Digital delivery of financial services will undoubtedly play a central role in bridging the financial inclusion gap. But along with the potential benefits – easier access, lower costs, product diversification beyond simple money transfer and payment services – come risks such as opaque terms and conditions, and agent misconduct or fraud that can harm customers and reduce their trust and usage of the new services. Better understanding and managing these risks can help advance customer well-being, provider success, and financial inclusion progress. 1. What risks do consumers and customers perceive and experience when using digital financial services? 2. 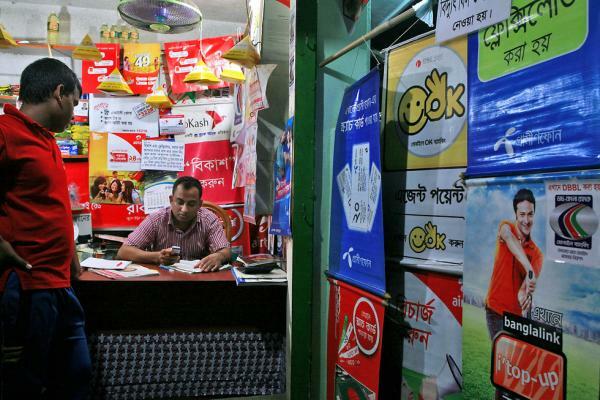 What are the consequences of those risks for consumers, providers, and financial inclusion? 3. How can those risks be addressed? You can join CGAP on June 29th in person or online for a half-day public event in Washington, D.C. to learn more about the risks consumers face, why they matter, and promising solutions to tackle these risks and achieve increasing trust, uptake, and usage of digital financial services. For more information on the event and to register please visit cgap.org. Read CGAP's press release, "CGAP Report Analyzes Digital Finance Risks for Customers." Click here to see the colorful infographic. Current Ecuadorian President Rafael Correa’s broader political program called the “Citizens’ Revolution,” has prompted a restructuring process of its domestic financial architecture through a combination of legal reforms, new public policies, and the transformation of the national payments system. 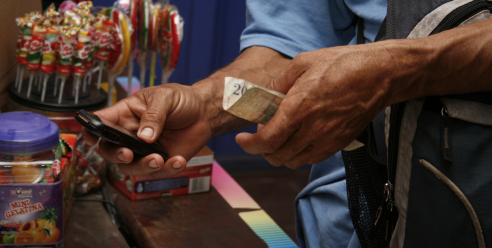 As part of this endeavor, a new mobile money system is being introduced to diversify the available forms of payment.The mobile money system will be executed and administered by the Central Bank of Ecuador (BCE), making it the first ever publicly mandated and Central Bank-administrated mobile payments scheme to be implemented in the world. To learn more, read Javier Félix's Executive Summary and White Paper (in Spanish).